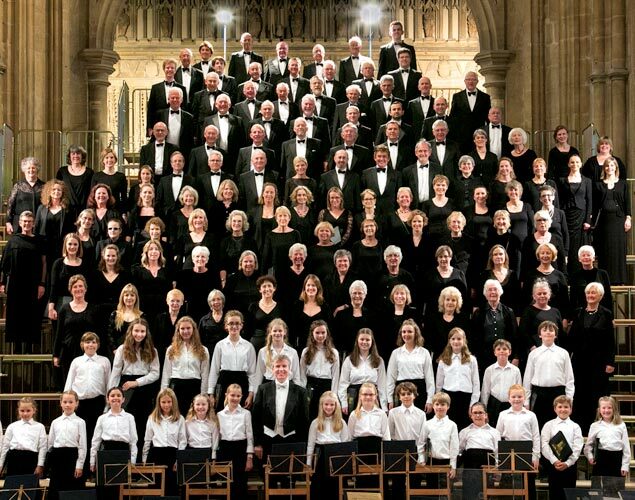 Canterbury Choral Society has forged a reputation for outstanding levels of performance, and is one of the most accomplished groups of its kind in the South East. Admired for its quality of sound, ensemble and intonation, it is a symphonic choir and a magnet for performers from many walks of life for which Canterbury can be justly proud. The formation of the Canterbury Choral Society Youth Choir in 2007 has provided a platform of excellence for younger voices which, like the adult choir, tackles similar repertoire in a wide variety of languages including German, Latin, Russian and occasionally English. Led by our Music Director Richard Cooke since 1984, The Society performs four major concerts and hosts Family Carols at Christmas in Canterbury Cathedral every year. Canterbury Festival has invited Canterbury Choral Society to perform a major concert each year since the Festival’s launch in 1984. Performances in northern France include Verdi’s Requiem in Boulogne and Mahler’s Eighth Symphony in Lille. It has given performances of Mahler’s 8th and Berlioz’ Grande Messe des Morts with the Royal Philharmonic Orchestra in the Royal Albert Hall, and in 2005 made a live recording of Elgar’s oratorio The Apostles on CD, together with the Philharmonia Orchestra. Canterbury Choral Society has maintained an ambitious level of programming alongside the more regular choral repertoire. This has included Bartok’s Cantata Profana (in the presence of the President of Hungary), Beethoven’s Missa Solemnis, Bruckner’s Masses in E and F minor, and Britten’s Spring Symphony and War Requiem. Its performances of Beethoven’s 9th Symphony, Haydn’s Creation and Prokofiev’s Alexander Nevsky together with Rachmaninov’s The Bells were all acclaimed as outstanding highlights of their respective Canterbury Festivals. It has also given an impressive number of significant Baroque works in recent years together with period orchestras such as The London Handel Orchestra and the Hanover Band. This repertoire has included Bach’s two main Passions, B minor Mass and Christmas Oratorio, Handel’s Messiah and Israel in Egypt, and performances of Monteverdi’s Vespers. Whilst aiming for professional standards, Canterbury Choral Society remains an amateur choir open to all who apply and pass an audition. Members may briefly reflect on their achievements after concerts, but a challenge awaits them the following Tuesday when they begin rehearsals for their next performance. This is open to anyone who might like to join us, or who is curious about how we rehearse and sound in the earliest stages of learning.